Can We Really Pray This Prayer? Perhaps you share this experience. 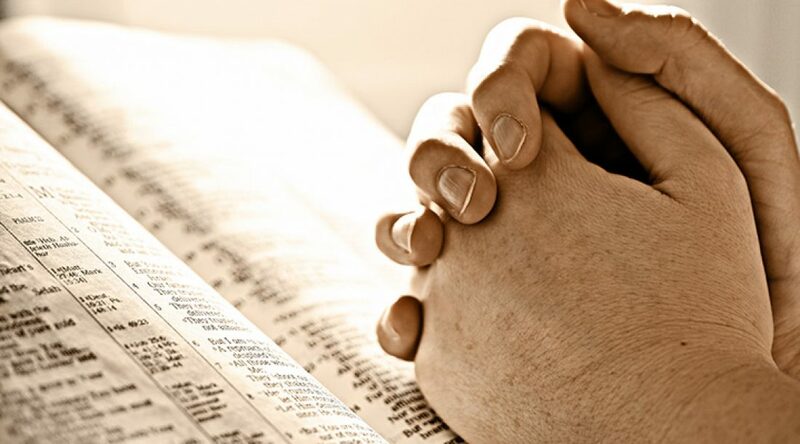 During a prayer meeting you’ll hear a fellow believer pray something like, “Lord, we pray for an opportunity for the gospel.” I must confess, I have prayed similar words or the same sentiment. Lord, give us a chance to proclaim the gospel! Lord, make my feet beautiful! I have heard some reference Colossians 4:3 “meanwhile praying also for us, that God would open to us a door for the word”. While Paul could pray that prayer, can we? Can I, in utter surrender to the Lord and Christ of God, pray as Paul prayed as he asked the believers in Colossae to pray? Consider verse 4 of the same chapter, “that I may make it manifest, as I ought to speak.” Have I surrendered all that I have, all that I am to Christ to manifest His mercy and grace? Paul here requests prayer for more than a piece of literature, more than a gospel meeting, more than door to door conversation. Paul is praying for a manifestation of Christ in his life – in spite of circumstances – that would be used to draw lost hurting souls to God. It is paramount to know that building the church is Christ’s work. We are commissioned to be co-workers in fellowship with Him. He allows us the privilege of proclaiming our sinfulness and His marvelous perfection. Our need and His supply. Our emptiness and His fullness. Second, we are commanded to preach the gospel to all creation. The Holy One of God commands us to proclaim His goodness and mercy to all that have been created! Nothing less than every soul! As we read the book of Acts, we see they preached the gospel everywhere! We too should preach the gospel everywhere. Pray for clarity in preaching. Third, the gospel as Paul writes by the Spirit is the power of God to salvation. I’ve heard folks, including myself say, “I’m embarrassed to speak publicly about my faith.” It is not about you, it is about Christ! Your obedience in preaching the gospel is not about your faith, rather the Object of your faith. He is trustworthy, because He is worthy. By proclaiming the gospel, you are manifesting the power of God. You are manifesting His Spirit’s work in you. You are manifesting His grace and mercy to you, a once lost sinner, saved by Him. So how then do we corporately pray for this? Surely we should pray for specific souls, for hearts prepared by His Holy Spirit to hear, for workers to proclaim the glorious good news. Consider the words of the Lord Jesus again, regarding the work of His Spirit from John 16:8 and 13. “…He will convict the world of sin, and of righteousness, and of judgment” and “…when He, the Spirit of truth, has come, He will guide you into all truth” We should pray to that end for ourselves, for our congregation and for the lost around us. We receive one another (v5). We do not cause stumbling (v6). We do not despise our brethren (v10). We have remained true (v12). We have reproved only in love (v15). We have agreed with our brethren and with the will of God (v18). So we individually ought to pray for our obedience, clarity of speech, and for boldness. Corporately before we pray for souls, we should be sure we are in unity for the gospel. It is there in agreement with one another on the work, with Christ in the midst, we can pray confident in seeing fruit. One Response to Can We Really Pray This Prayer? Very true and very convicting. I find whenever I pray for opportunities to share the gospel, God answers those prayers. But I also need to be fully surrendered so that my whole life is an offering to God and a compelling reason for the lost to turn to Christ.